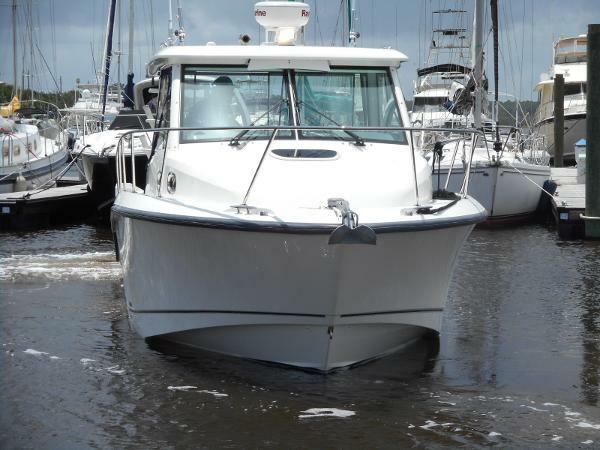 .This Exceptionally clean 315 Conquest with the upgraded 300 HP Verados and Bow Thruster and Cockpit Air Conditioning ! Summer Kitchen and Generator . .Vessel has just been newly bottom painted with new zincs have been added. 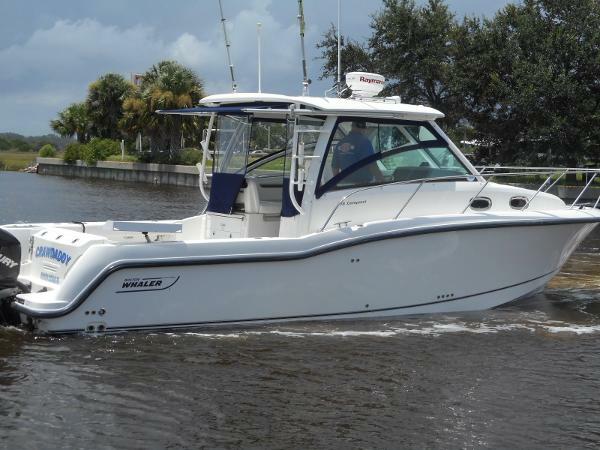 The boat features a host of functional and aesthetic upgrades that are bound to impress both saltwater anglers and those who favor luxury cruising. A full front glass windshield with open sides and a sheet glass enclosure provide a clear, unobstructed view from the helm, while an insulated 30-gallon livewell/cooler, increased bait prep storage, and dual in-deck fishboxes and the optional Summer Kitchen Prep and Grill ensure give the diehard angler has everything he needs to get on the fish. The boat's cabin features new interior styling, including a skylight over the galley, and an expanded mid-berth offering improved headroom . This is a fine example of an exceptional Conquest 315. 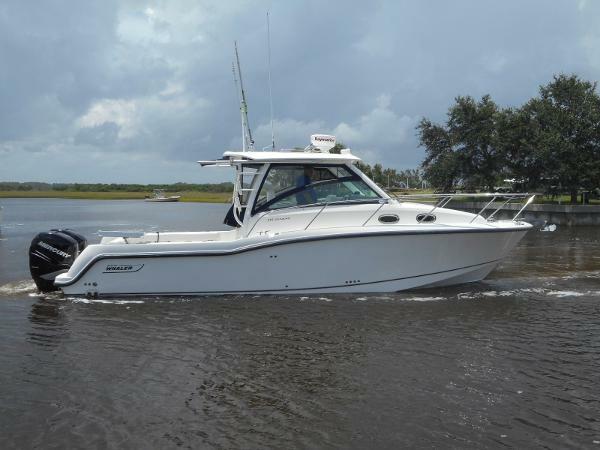 To make an appointment to see this showroom quality vessel contact Mike Hawkins at MarineMax at Jacksonville Beach.